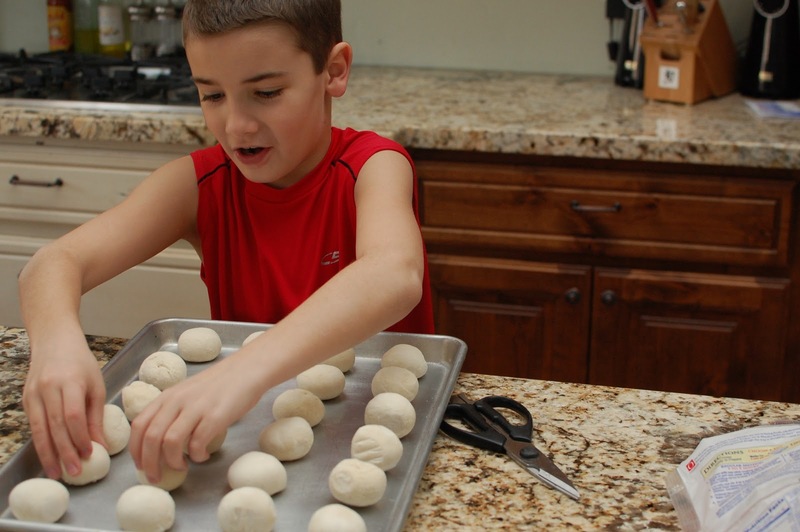 Copycat White Castle Burgers ~ Caden’s Latest "Picky Eater" Recipe! Caden has really been wanting me to share this recipe for Copycat White Castle Burgers. All of my kids love them and they’re really, really easy. He was tempted to make this when he went on Fresh Living, but then we decided on something with more veggies in it, Taco Bowls. Anyway, we don’t have White Castle in Utah…the only way we get those burgers is to buy their frozen ones in a box at the grocery store. We used to do that, to get our fix…but, NOW…we just make these! 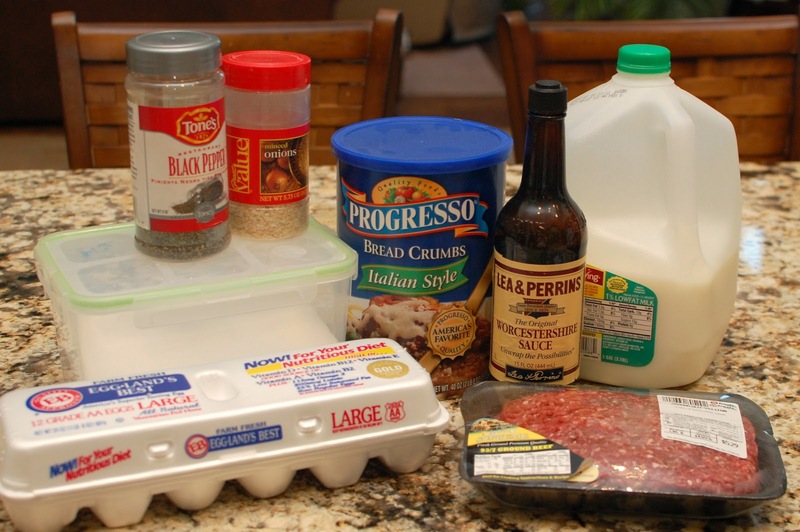 For the hamburger’s you need: eggs, dried onion flakes, milk, Worcestershire sauce, salt, pepper, bread crumbs, ground beef, and rolls. Heat the oven to 375 degrees. 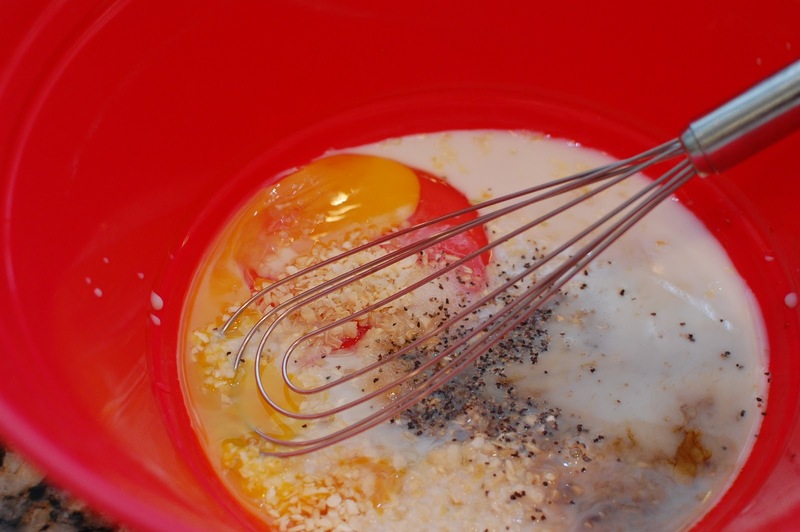 Beat 2 eggs in a medium bowl, add a few tablespoons of dried onion flakes (maybe 3 tbs. ), 2 tablespoons of Worcestershire sauce, 1 tsp. salt and 1/4 tsp. pepper. Stir everything together, then add a cup of breadcrumbs…stir, of course. 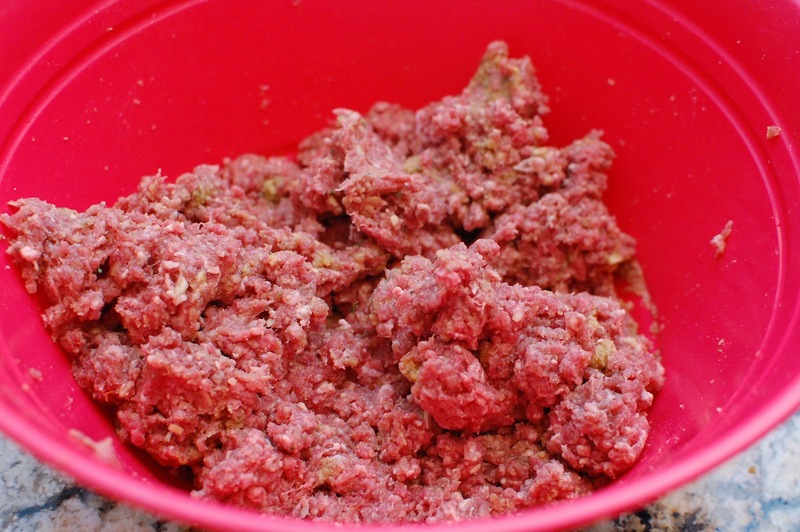 Add 2 pounds of ground beef and mix well, using your hands to squeeze and mix works the best. This is the part where we slip on surgical gloves, because both Caden and I are grossed out by touching raw meat. 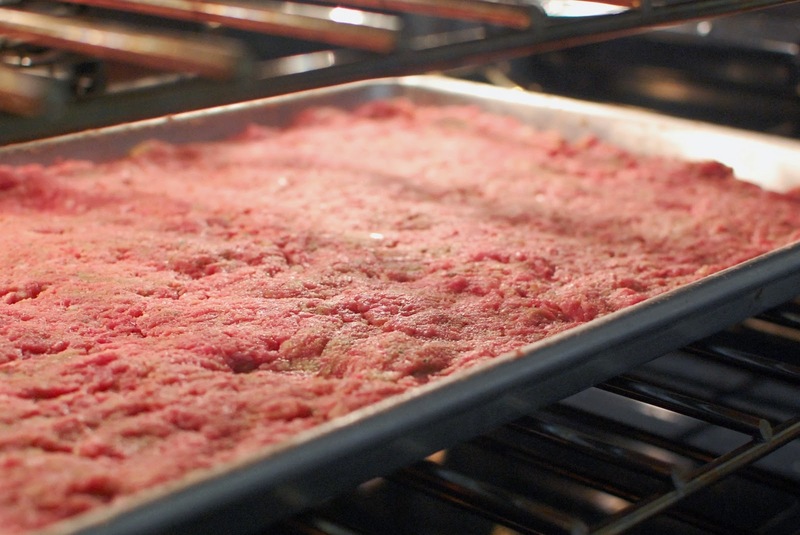 Oh, I also like to use lean ground beef so that the meat isn’t sitting in fat, in the pan. Press into a sheet pan and stick in the oven for about 25 minutes, or more…until it’s done. I have meat paranoia so I sometimes leave it in for a long time, I’m not into pink. 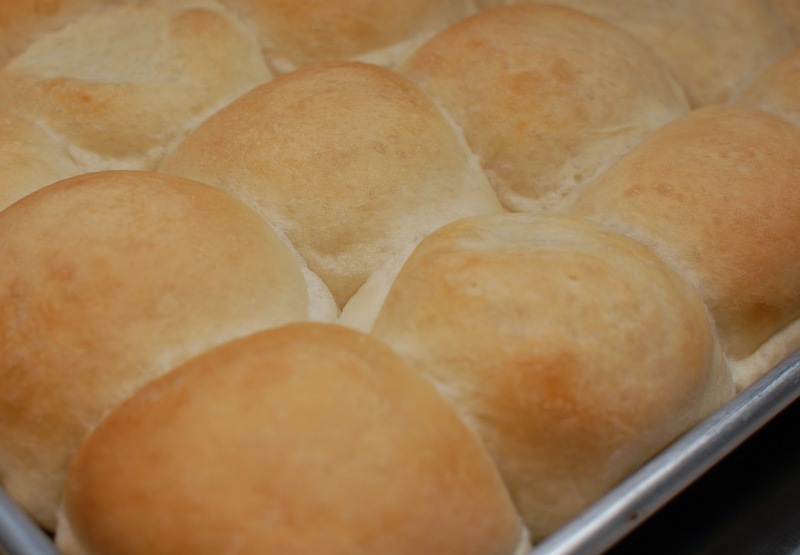 Bake your rolls at the same time. Cut squares of meat out of the pan and load it into a roll. Serve with a squirt of ketchup, maybe some potato salad, enjoy! Add the onions, milk, Worcestershire sauce, salt and pepper. Stir. Add the breadcrumbs, then mix in the ground beef. It’s easiest to use your hands to squish the ingredients into the meat. Press the meat mixture into a sheet pan and bake, maybe 25 minutes (more or less) until the meat is cooked through. Cut into squares and place on a soft roll. My kids would go nuts over these. Thank you! Those look yummy and much easier than pan frying hamburgers individually. We still have way too much snow to barbeque so I might have to these a try this week. Thanks for sharing Caden! Yep, I think they are Italian style that we used. But, it doesn’t need to be…that’s just what I had.